The publication of Osler’s Web was both a literary event and a rare example of immersive journalism, the result of shoe leather reporting undertaken by journalist Hillary Johnson over a period of nine years. 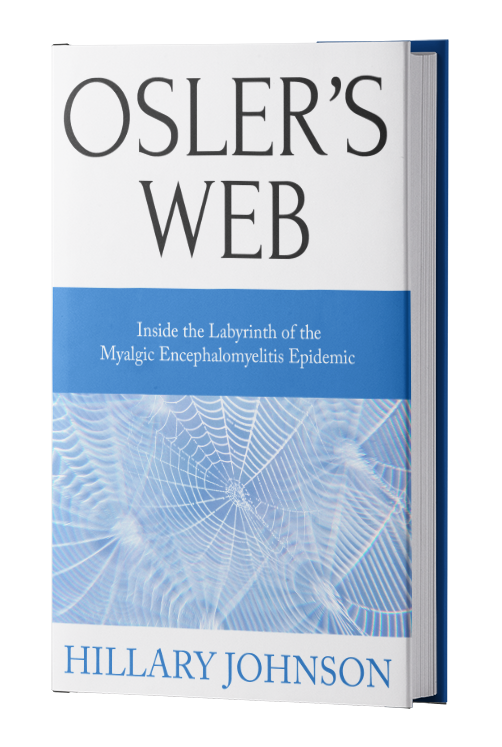 Reviewers called Osler's Web a watershed in the history of a world-wide outbreak of myalgic encephalomyelitis (M.E.) that began in earnest in the early 1980s. Johnson's series of intertwined narratives was a wholly original story that peeled back layer upon layer of misdeeds, unethical behavior, remarkable bias and incompetence at the highest levels of the American medical establishment. It remains the only book to chronicle in full the American government's extravagantly failed response to the emergence of the myalgic encephalomyelitis epidemic, which arose concurrently with AIDS. Then and today, anyone seeking to understand the reasons M.E. has been denigrated, mischaracterized and to this day remains unresolved will find the "Why?" in Osler's Web. Johnson was the only writer under contract with a major publisher on this topic for a decade. 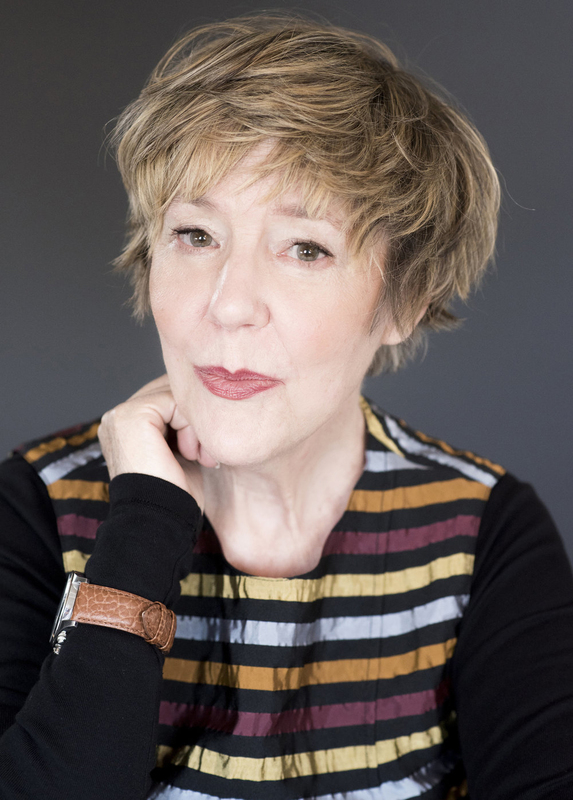 Her intensive effort involved fashioning a complex series of unrelated events and interviews conducted with several hundred people, few of whom knew one another, into a compelling story. Reviewers commented on the book's "cinematic" quality, suggesting it read like a "Hollywood melodrama," and took note of the richly drawn characters, often characterizing them as heroes and villains. Although Johnson's narrative was hardly inevitable, it nevertheless remains the only comprehensive narrative of the era and is regarded as the definitive political and scientific history of M.E. Osler's Web evoked the frat boy atmosphere, the overwhelming contempt for sufferers and ultimately the betrayal of the public trust that characterized staff at the Centers for Disease Control during those years. But there was more. Upon its publication in April 1996, Hillary Johnson's Osler’s Web broke the story of the CDC’s theft of approximately 150 million taxpayer dollars, money a concerned Congress sent to the agency to conduct M.E. research beginning in 1988. Her book revealed that agency heads had lied repeatedly to Congress about CDC’s progress in the disease in order to keep taxpayer money flowing into CDC coffers for middle-level staffers to use on anything but M.E. Lying to Congress is a felony. In Atlanta, far from the halls of Congress, agency insiders called the M.E. slush fund "the goose that laid the golden egg." Johnson delineated how agency staff colluded from the lowest to the highest levels of the agency to accomplish their crimes and revealed how the money had been misspent. Johnson presented a novelistic-like insider’s account of the agency's tardy decision to investigate an M.E. outbreak in the ski resort hamlet of Incline Village, Nevada, as well as a blow-by-blow description of the local investigation itself--a shocking tale untold in any other venue until Osler's Web. The details of the author's report on the Incline Village-CDC conflagration have assumed legendary status within and without the medical establishment. Osler’s Web also unearthed the secret motivations behind the agency’s critical 1988 decision to create the misnomer “chronic fatigue syndrome” for a malady that CDC scientists by then recognized as myalgic encephalomeylitis. The book provides revealing excerpts from a cache of never-before-seen correspondence exchanged over one year by participants in this leisurely decision. As outlined in Osler's Web, this group debated the political and financial implications of affording the disease a medical name and opted against that choice for reasons having nothing to do with medicine and everything to do with political expediency. Their decision had devastating consequences for public health for decades to come. Johnson, in addition, coaxed several indelible characters onto the world stage in Osler's Web, most notably clinicians Paul Cheney and Daniel Peterson of Incline Village. After meeting pediatrician David Bell at a conference in 1987, the journalist introduced Bell to Paul Cheney. The former was practicing medicine in the obscure and impoverished Lyndonville, NY, site of yet another cluster outbreak. Johnson decided to include the sympathetic figure Bell in her narrative, as well. "I do enjoy telling my patients, especially the farmers, that they will now be considered yuppies," Bell told Johnson at the time. Unforgettable, too, was the fourth major character in Osler's Web, the peppery immunologist Elaine DeFreitas of the Wistar Institute of Philadelphia who reluctantly agreed to collaborate with Cheney and eventually Bell in a search for the cause of the disease. The latter two provided DeFreitas with guidance on the disease and tissue samples from patients. Osler's Web recounted the day-by-day drama of the immunologist's doomed struggle to engage the CDC in a replication of her novel virus discovery. Johnson ultimately spent four years covering the astonishing tale of DeFreitas's early discoveries, culminating in the federal agency’s bungled efforts to replicate her work and--by the agency's own admission--it's premature halting of that investigation, a story told in no other venue. Osler’s Web introduced Stephen Straus, the National Institutes of Health clinical investigator, to readers. Book reviewers uniformly identified Straus, who was admired among his colleagues at the NIH, as the villain of Johnson's story, as opposed to the "heroes" named above. One noted that Straus reminded her of Hannah Arendt's comment about the "banality of evil." Johnson provided detailed evidence of the ways Straus shaped federal policy toward M.E. over a period of 15 years and mislead an easily swayed generation of scientists, doctors and journalists about the true nature of the malady. Osler's Web unmasked Straus’ near-single-handed responsibility for inhibiting the discovery process for at least one human generation. As Philip Hilts, writing in the New York Times, noted in his review of Osler's Web, none of these remarkable episodes in American medical history would be known today, or available to future generations, had not Johnson researched and written Osler's Web. Indeed, her book may be more relevant today to patients, scientists, medical historians and ethicists than it was upon its publication in 1996 given the exponential expansion of the cosmos of M.E. sufferers and the fast receding memories of the pivotal, policy-setting years Johnson described in Osler's Web. "I found your book very hard to read," a well-heeled man whose child suffered from the disease told the author more than a decade after its publication. He paused. "Every time I came to the end of a page, I wanted to throw the book against the wall." In 35 chapters spanning 1984 to 1994, Osler's Web takes readers on a wild ride through late 20th century science and medicine, unveiling the dark interior of a belligerent American government unwilling to investigate a public health emergency. The result: citizens afflicted with the disease were abandoned by medicine and the larger culture, leading to human rights violations reminiscent of the Tuskegee syphilis experiment, albeit on a vastly larger scale. Government gaslighted sufferers with pervasive assurances that they were not physically ill while observing the natural history of a virulent disease unfold in real time, absent efforts to prevent its spread or ameliorate its life-robbing symptoms. Crafted by a master journalist, Osler's Web continues to stand today as the most reliable and comprehensive history of a public health crisis of enormous magnitude--one that has yet to be addressed appropriately by the U.S. or any other government. Rolling Stone editor-in-chief Robert Wallace assigned Johnson to write about the emerging M.E. epidemic in the summer of 1987. The result, a two-part series called “Journey Into Fear,” was the topic of an ABC Nightline segment soon after it's publication. Rolling Stone received more reader mail than at any time in its history. 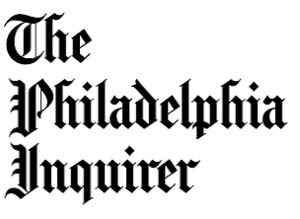 The series was a finalist in the prestigious “reporting” category at the National Magazine Awards of 1988.